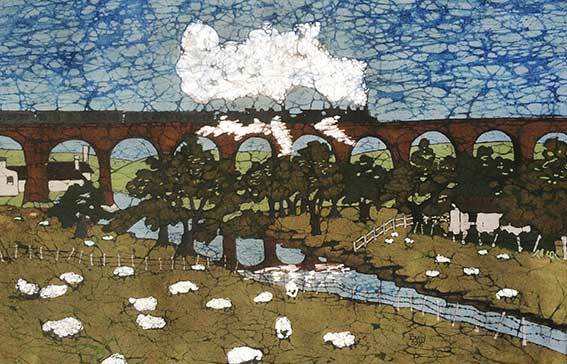 Whalley Arches is the longest brick viaduct in Lancashire and was the view from my house when I lived in Whalley. 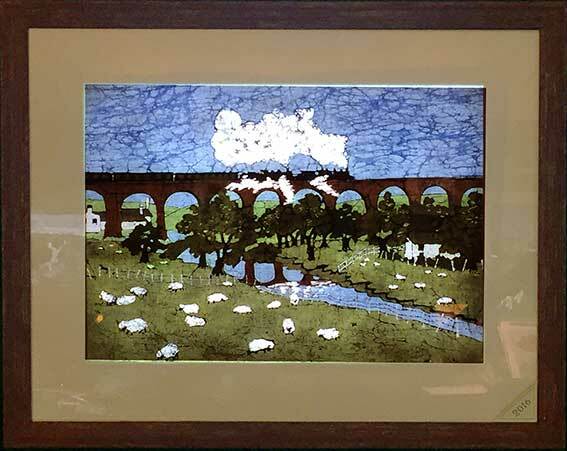 It's span of 48 arches crosses the river Calder and the railway carries the Ribble Valley Line to Clitheroe and beyond. I recently found the drawing which I did many years ago and felt inspired to do a new Batik - a real bit of nostalgia for me. I remember, back in the 80s, standing in a field in the rain, waiting for hours to photograph the double header crossing the viaduct.